The November 14, 2012, Technology Salon NYC focused on ways that ICTs can support work with children who migrate. Our lead discussants were: Sarah Engebretsen and Kate Barker from Population Council, and Brian Root and Enrique Piraces from Human Rights Watch. The Girls on the Move report (to be released in February) will synthesize current evidence, incorporate results of specially commissioned research, illustrate experiences of migrant girls, provide examples of promising policies and programs, and offer concrete action-oriented recommendations. Finding new jobs. Both boys and girls use mobiles and text messaging for exchanging quick news about job openings. This suggests there could be an opening for program interventions that would connect to migrant children through texting, and that might supply information on community resources, for example, where to go in cases of threat or emergency–that might then propagate across migrant virtual networks. Sending remittances. Based on research with adolescent girls and drawing from examples of adult migrants, it seems that a vast majority of migrant girls save money and send it to their families. Evidence on how girl migrants are using remittances is limited, but a survey conducted in Kenya found that 90% of adult migrants had sent money home to families in other parts of Kenya via mobile phone in the 30 days before the survey. There is more research needed on adolescent girls’ remittance patterns. Research is also lacking on adolescent girls’ access to and use of mobile phones and on whether mobile phones are owned or borrowed from another person who is the handset owner. Remittances, however, as one participant pointed out, are obviously only sent by mobile in countries with functioning mobile money systems. Social exclusion and access is a specific challenge due to the pronounced social exclusion of many migrant girls, particularly those who are married or working in socially isolated jobs such as child domestic workers. Girls in these situations may not have any access to technology at all, including to mobile phones. Girls and women especially tend to have less access than men; they are often not the owners of devices. There is a research gap here, as no one actually knows how many adolescent girls access mobiles and how many can borrow a phone for use. It is not clear if girls have their own phones, or if they are using an employer or a friend’s phone or a public call box. This would be a key factor in terms of working with adolescent girls and understanding risk and designing programs. Technology should build on – not be seen as a replacement for – social networks. Girls access to social capital is a huge underlying topic. There is normally a rupture in social networks when girls move. They become socially isolated and this puts them at great risk. Domestic girl workers leave home and become more vulnerable to exploitation — they have no friends or family around them, and they may not be able to access communication technologies. For this reason it is critical to understand that technology cannot replace social networks. A social network is needed first, and then ICTs can allows girls to remain in touch with those in their network. It is very important to think about understanding and/or building social networks before pushing the idea of technology or incorporating technologies. Retaliation. Concerns were raised regarding the possibility for retaliation if a child reports abuse or uses a mobile for flirting and the phone is confiscated. Practices of self-protection and message deleting are not very well implemented in most cases. A participant noted that some of the low-end phones in Tanzania and Kenya delete outgoing messages and only keep 15 messages on the phone at a time. This can help somewhat, though it is not a feature that is particularly aimed at protection and privacy, rather, it is more a function of low memory space. Safer Mobile is one initiative that looks at risk and privacy; however, like most efforts looking at risk, it is focused on political conflict and human rights situations, not at privacy and protection for child migrants or other types of abuse reporting that children may be involved in. Integrated information and data crossing. One issue with research around migrants is that most looks only at migrants and does not cross migration with other information. Many girls migrate with the idea that they will be able to get an education, for example, but there is not a lot of information on whether migrating girls have more or less access to education. The literature tends to focus on girls in the worst situations. In addition, although there are 4 times as many internal migrants as there are international migrants, focus tends to be on international migration. In a second post, I will cover Human Rights Watch’s work on using data to advocate around the rights of immigrants in the US. Many thanks to our lead discussants from the Population Council and to the Women’s Refugee Commission and the International Rescue Committee for hosting! The next Technology Salon NYC will be coming up in January 2013. Stay tuned for more information! If you’d like to receive notifications about future salons, sign up for the mailing list! 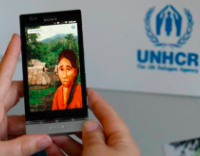 Also, if you have research or examples of how child and youth migrants are using ICTs before, during or after their journey, or information on how organizations are using ICTs to support the process, please let me know!